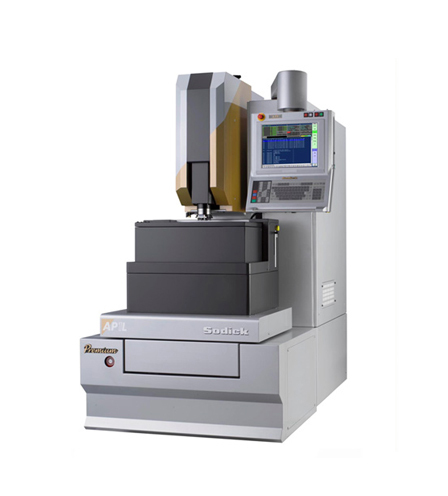 AP1L - Premium High end die-sinker EDM. Responding to the need for a higher level of machining accuracy, Sodick’s AP1L Premium offers solutions to ultra precision machining requirements based on achieved superiority in mini and microscopic machining. Production is improved through advanced functions for automation and labour saving operation. Revolutionary technology is needed for electrode dressing to support ultra precision high speed machining of hard and difficult materials in order to achieve manufacturing capability of mini and micro moulds.